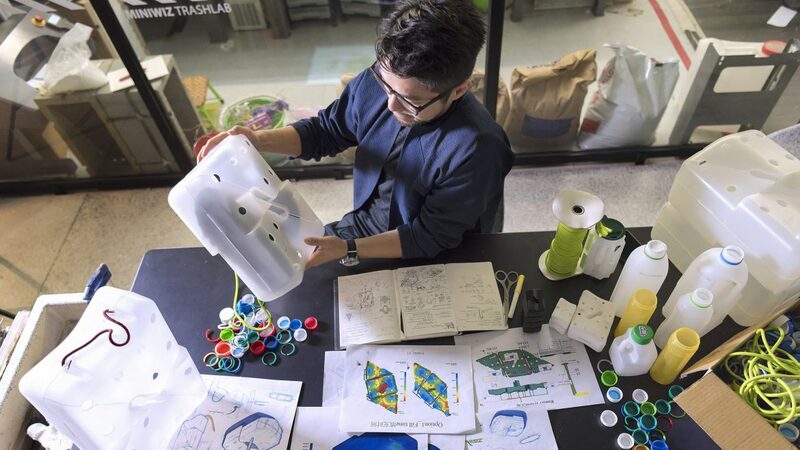 «It’s always about turning pollution into a solution» with these words our longtime partner Arthur Huang describes the mission of Miniwiz, the company he founded in 2005, aimed at transforming waste into high performance materials. 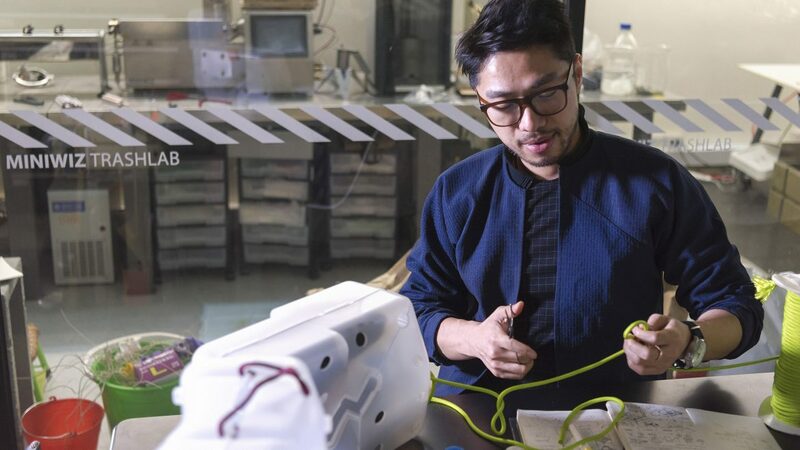 As part of the initiatives which go under the Vision-AIRS program, NikeLab decided to ask this innovator, architect and structural engineer to offer his take on the Nike Air Unit, created 30 years ago. 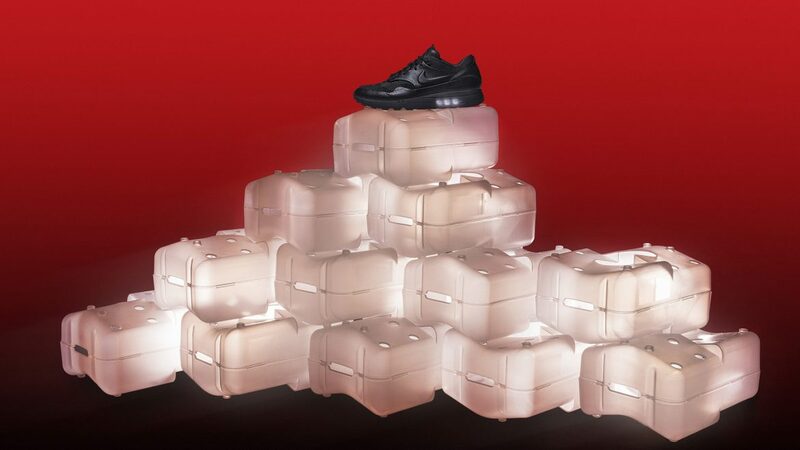 Arthur decided to honour the innovation of using air as a cushioning material by creating a lightweight box made entirely of reused materials “which is literally an air bag”. 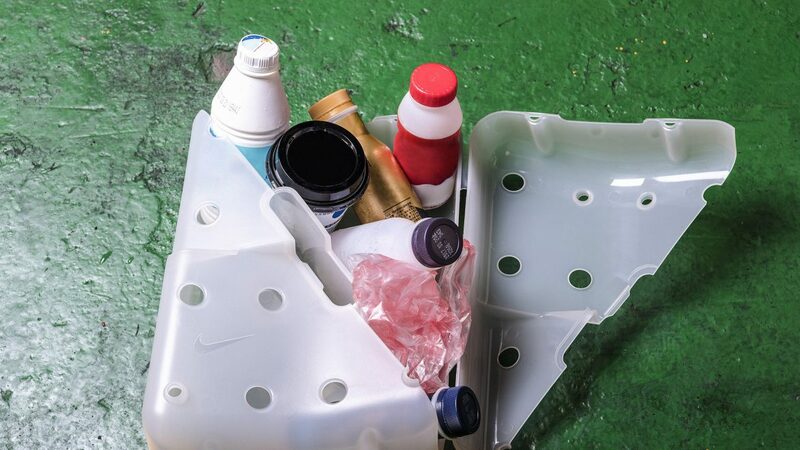 The modular design allows it to be used as an interlocking component of a display or storage system, but also as a backpack. Last but not least, his NikeLab Air Max 1 Flyknit Royal is a super-light version of the classic model, which combines premium with recycled materials and the latest green manufacturing technologies available – saving also on colour being all black. Our sister company Panottica had the chance to spend some time at Miniwiz in Taipei, to visually document the process.